Plum Deluxe Tea of the Month Club is a subscription service to try seasonally appropriate teas every month! They offer two subscription plans, the Casual Sipper, which includes one 1 oz tea every month for $10, or the Daily Cuppa, which includes two 1 oz teas every month for $18. Teas are handmade and hand-blended each month, blends are inspired by the seasons, and are organic and fair trade. They ship to the United States and Canada, and I'll include some more info about the subscription at the bottom of this review. Plum Deluxe kindly sent me one of their teas of the month to try for review purposes. 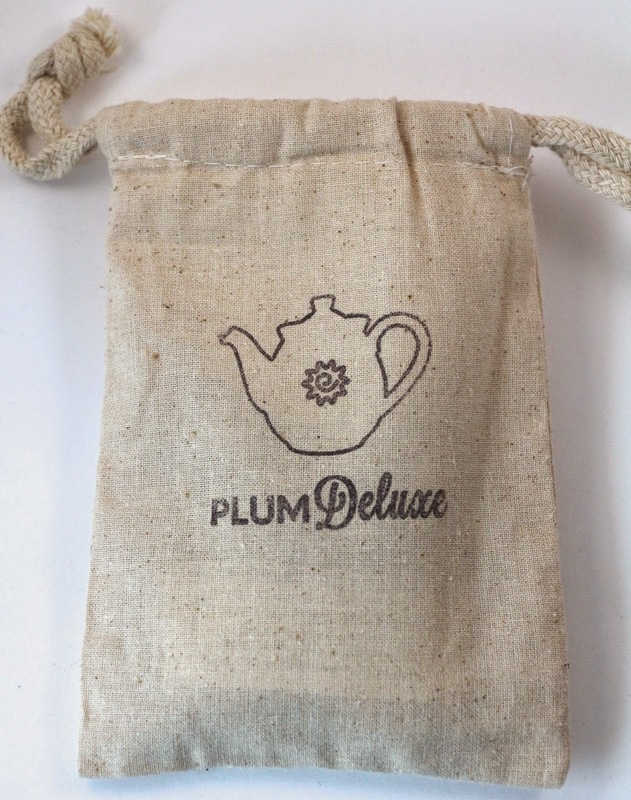 The tea arrives in this little muslin bag, which is very nicely stamped with the Plum Deluxe logo. 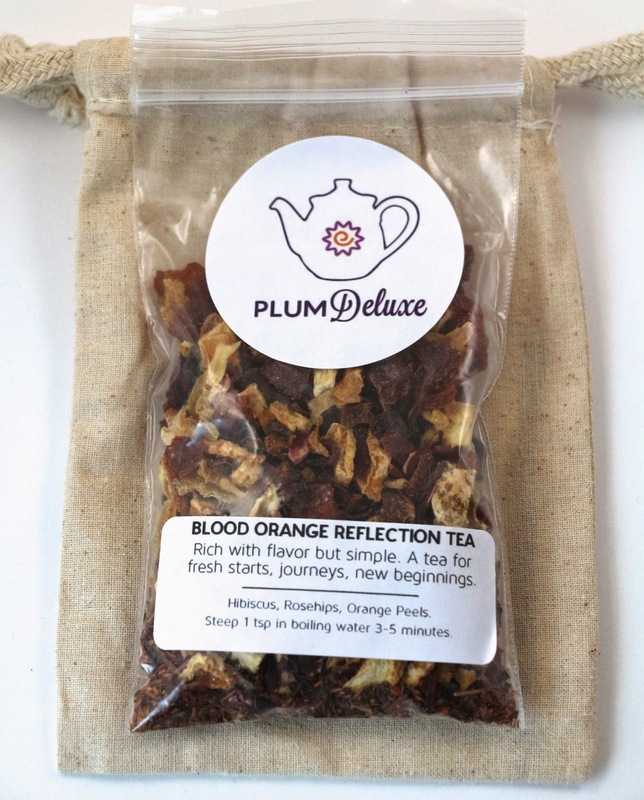 Blood Orange Reflection Tea - "Hibiscus, Rosehips, Orange peels"
This tea is very fruity tasting, and I had it served hot with some honey, but I think it would make a great summer iced tea as well. There's not much actual "tea" in it, it's mostly made of the larger fruit and flower components. It's more like an herbal tea, than a traditional tea made with tea leaves. Their website states that each bag can be used for about 15 cups of tea, which seems like a lot. I tend to use more tea than I need to, and I don't reuse it, even though most teas can be re-steeped at least once more. The tea itself was good, it reminds me of a rooibos tea I have that I also like. Overall, I think this subscription is good for people who want to discover teas every month. Although, I think the subscription price is a little expensive for what you get. It's $10/month for one 1 oz tea, which is about double the price of other tea retailers. It does include shipping, and the teas are handmade in small batches, so if you just are looking to discover what kinds of teas you like, I think this is a great subscription to try! Shipping - Is included, they ship to the United States and Canada.